Good Evening, I’m James Adderley and this is Sports Monday. 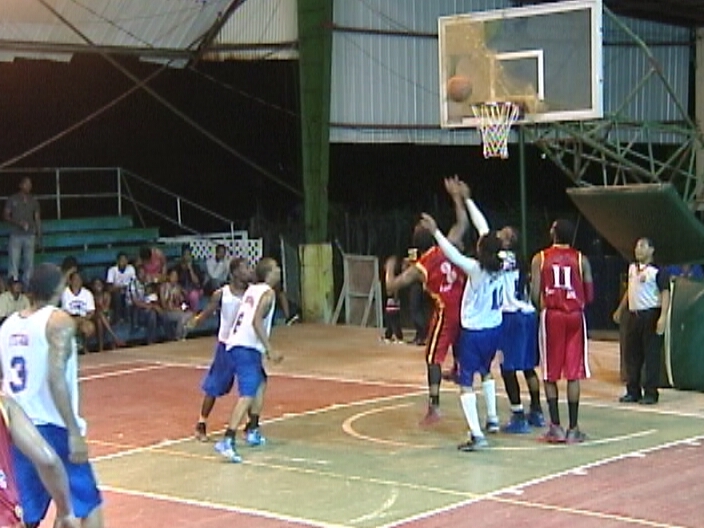 Week 12 in the NEBL Season saw Belize City No Limit look for revenge against the Cayo Western Ballaz who had burned them in a 1 point Win at San Ignacio. 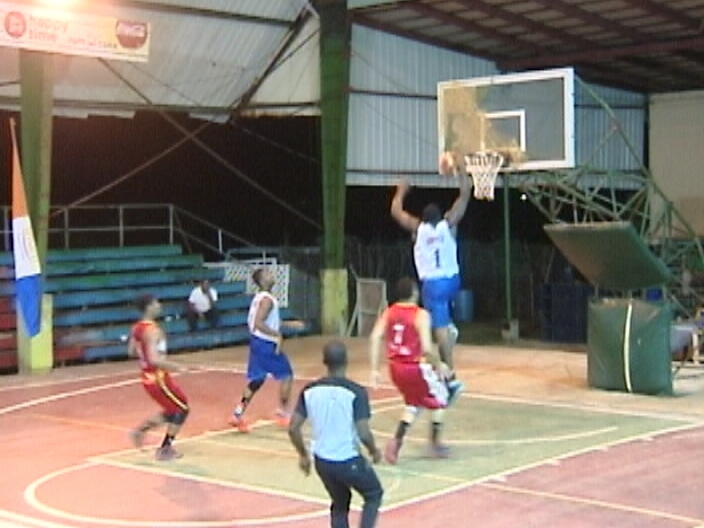 At Bird’s Isle Friday night, No Limit came out looking to use the home court advantage to settle the score. Indeed it was a dream start for Smart No Limit as Andrew Ortiz got them going early with back to back dunks. And here is Greg Rudon setting up Ortiz for another monster slam as NO Limit sprints to a 15-4 lead. However, the Ballaz respond effectively with a 17 to 2run late in the 1st quarter. Stanley Flowers deals to Kurt Burgess who goes down the middle for 2. At the end of the first, the visitors lead 21 to 17. In the 2nd quarter, Burgess, Captain of the Ballaz makes this triple—he would lead his team in scoring with 20 points and pulled 11 boards in the ballgame. Earvin Orozsco had his best offensive outing for No Limit and gets 2 of his 11 points going glass with the left hand. Nevertheless, the Cayo team remains the protagonist in this showdown as Burgess deals Travis Lennon who makes this 2 pts look easy. Lennon would put up 18 points tonight. Lennon gets another nice pass from Burgess and this time, he hits from 3 point ranger as the Ballaz take a 6 point lead into intermission. In the 3rd No Limit makes a run, Greg Rudon runs the court and goes left for 2 of 15 points and would pull 9 boards. Rudon then finds Earvin Orosco and he launches the 3 that hits nothing but net. Off this missed shot by Rudon, Matthew Young steps up with the put back, more importantly Young would chair the boards with a mighty rebounds. At the end of 3, Smart No Limit has pulled up to within 3 in 57-54 score. Meanwhile folks, No Limit falls apart in the 4th. This is poor defense when Otto Coleman inbounds to the unattended Stanley Flowers, who easily scores 2 of his 7 points. The smallest player on the court, Johann Bermudez of Cayo then gets busy as he forces this tough shout and follows it to come up with the put back. It’s Bermudez staying with this play after the block to score 2 of his 10 points all in the 4th quarter. Folks, can you believe this banker from Bermudez folks—well it does. Meanwhile our man of the game is Farrom Louriano who finds the open Travis Lennon here. Louriano scored 14 pts, pulled 14 rebounds, dished out 5 assists, the most in the ballgame, had 3 blocks and came up with 2 steals as Cayo Western Ballaz beat No Limit for a 2nd time; this time in a 77 to 63 blowout. In other results from the NEBL, Orange Walk got its 1st road victory stopping the Toledo Diplomats 78 to 74 and Tigersharks beat Point Bandits 84 to 70. 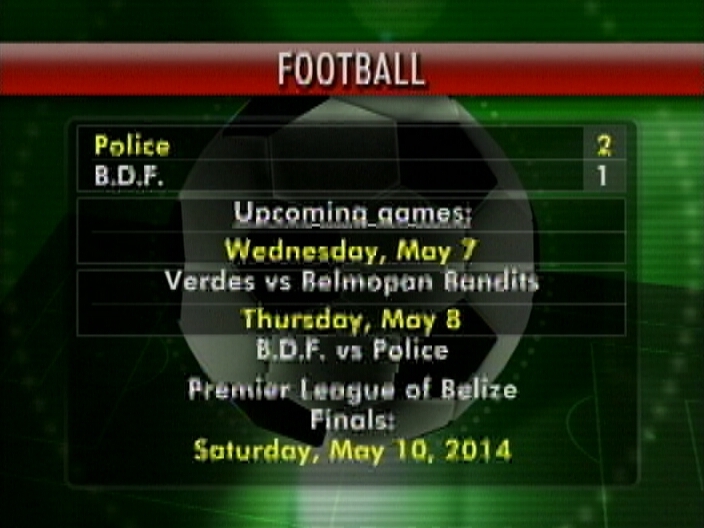 Week 16 gets off on Thursday, May 8th, at 9 p.m. when Belize City No Limit takes on Point Bandits at Belmopan. On Friday, 2 & 10 Corozal Heats takes on 2 & 10 OW Running Rebels. 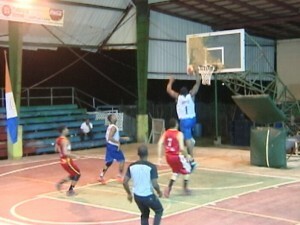 On Saturday, Cayo Western Ballaz takes its 10 & 2 record on the road to face the Toledo Diplomats in PG. And San Pedro Tigersharks with an 11 & 1 record journey to Dangriga to face the 7 & 5 Warriors. Sunday finds No Limit in Punta Gorda to face the Toledo Diplomats to complete a back match. Game time is 3 p.m. 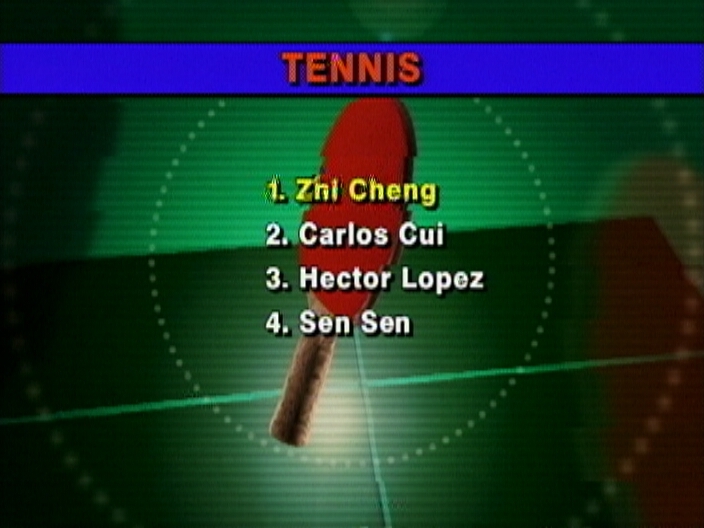 Turning to Table Tennis news, Zhi Heng beat Carlos Cui to win the 4th annual 5 Barrel Veteran Championship yesterday at Belize Elementary School Auditorium. 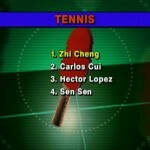 Hector Lopez then took 3rd place by disposing of San Sen. In canoe racing, the Smart River Challenge edged out Zip Rider Guides canoes by 7 seconds. 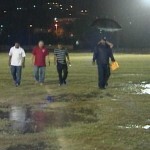 Now let’s head to the Marshalleck Stadium in Benque Viejo where the heavy rains preceded the opening match in the PLB Closing Football Season as #2 Verdes took on #3 Belmopan Bandits to kick off a home and away series in the semi-final round. It’s tough going for both ball clubs so David Madrid looks to hook up with Brandon Peyrefitte who puts a hurt on the Verdes keeper, Benito Morriera. At the other end, Marlon Meza almost comes up with a perfect high riser in an attempt to score but is denied by goalkeeper Woodrow West. 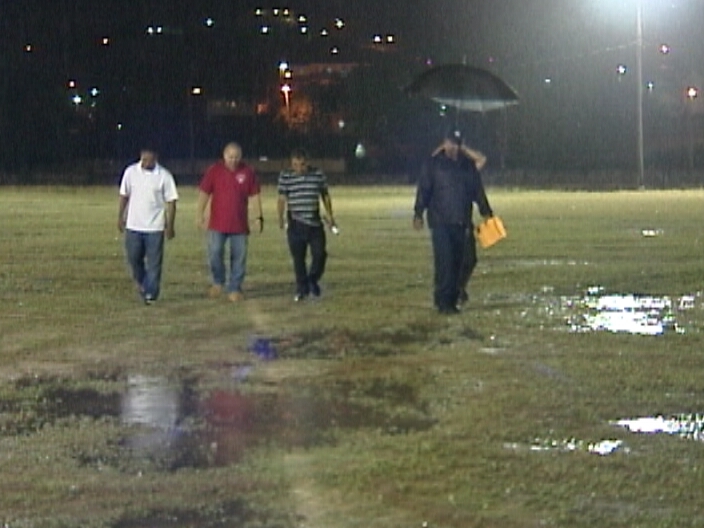 Derys Benavides displays some frustration with the soggy pitch but the show must go on. Nevertheless, the 1st real look at goal comes to Elroy Kuylen and should have done better with this opportunity. At the other end, Orlando Jimenez has this ball bounce in front himself and the goal only to misfire. Next to get a break is Jerome James who beats 2 on his way to launch a right foot shot that is placed too close to goalkeeper Morriera in early 2nd half action. The breakthrough comes around the 56th minute when David Madrid fires this set piece into the danger zone—Elroy Kuylen changes its direction with a slight head touch and the deflection off a defender gives the Bandits a 1-zip lead. 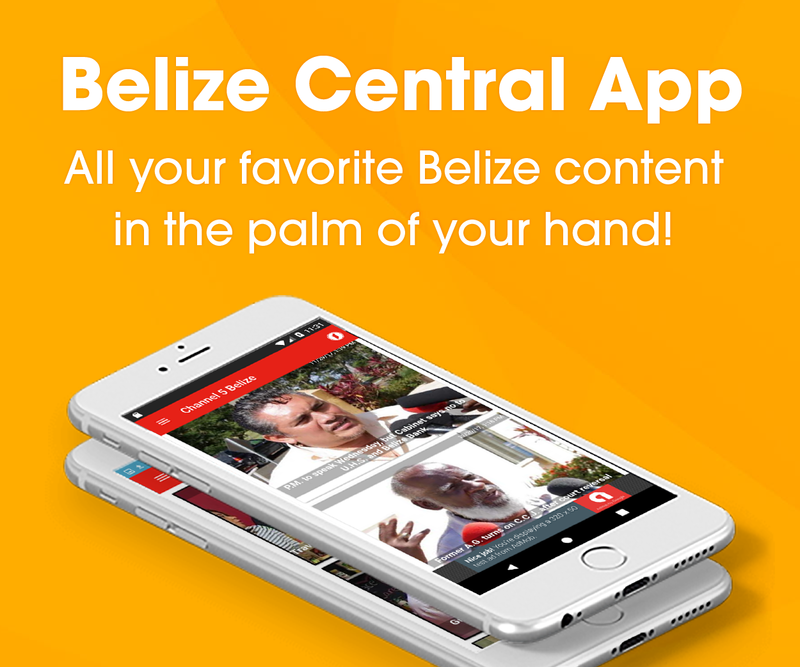 Belmopan looks for more when David Madrid finds Derys Benavides unattended but we’re not sure of the veteran’s intention after viewing his execution. Belmopan goes to post the 1-zip big Win. Checking the results from Saturday’s other semi-finals, Police United marched into the Carl Ramos stadium and handcuffed the B.D.F. in a 2-1 finish. 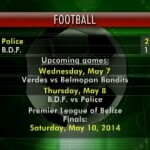 Thus the Verdes goes to the Isidoro Beaton Stadium Wednesday night at 7:30 p.m. for game II against the bandits and on Thursday at the same venue, the B.D.F. faces Police. There the PLB finals kick off Saturday with game I. Now here are a few of the season awards we know about: Keith Allen of the Police was voted best goalkeeper; Anthony Gonzalez of San Ignacio, Best Forward and he shares the most goal scored with Jarret Davis of FC Belize as both scored 6-apiece. Christopher Gilharry of Police is Best Defense; Denroy Case Junior of the Bandits is Best Mid-Fielder and the MVP honors is yet to emerge. In news from the Belize District Football, Shaquil Matute gave Collet Strikers a 1-zip lead in the male U-15 youth tournament finals, but Smart Brown Bombers responded with 2 goals—one from Eldon Byrd and the game winner from Sherwin Requeña to grab the title. Meanwhile, Academy FC edged Pallotti 3 to 2 to take the 14 to 17 years female title and Hattieville defeated City Boys 3 to 1 to become champions in the U-17 male tournament. Jah over all, I’m James Adderley. Primary school students sit day-two of the P.S.E.